1. Call 815-468-8680 to place your order. 2. Pick any items from the menus listed below. 3. Once ordered the team member will let you know when it will be available for pickup! 4. 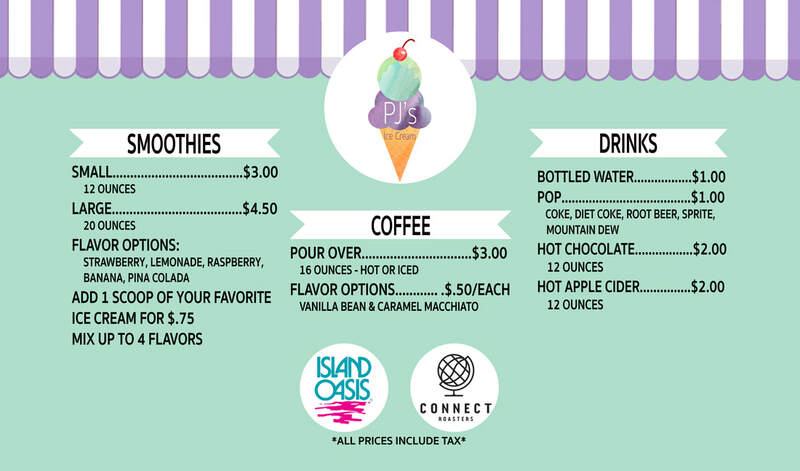 When you arrive at PJ’s, call 815-468-8680 and a team member will bring your ice cream to your window. 5. Credit, Debit, or Gift Cards only please! 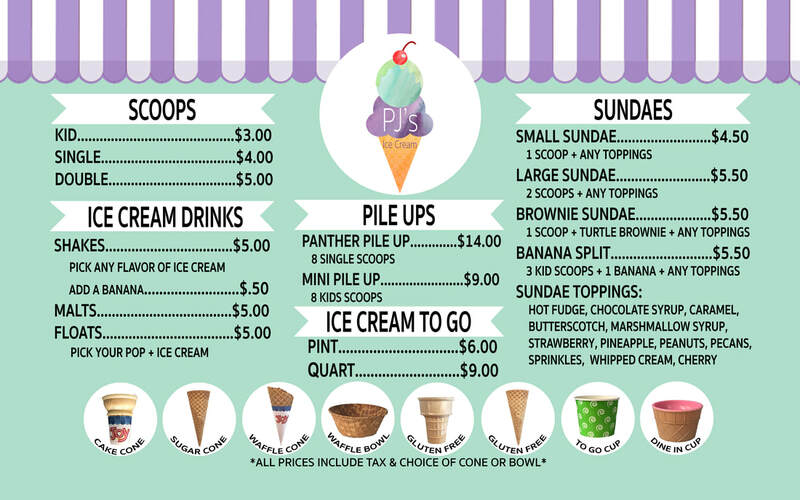 **FOR A COMPLETE LIST OF FLAVORS, VISIT OUR ICE CREAM PAGE!